I would like to share some of these valuable tips on “How to Stay Slim for Life WITHOUT Dieting”. These 5 practical tips are based on my own experience and knowledge. So let’s get straight into in. The first important Tip is to “Ditch Dieting”. You got to start ditching the word and mindset of “Dieting” and focus on “Eating Healthy” instead. The word “Dieting” is often associated with “restriction”. So for instance when you’re on a ‘diet’, there will be a list of food that you can eat and food that you shouldn’t touch at all. Extreme diets will also control how, when and how much you should be eating at all times. Dieting and restriction actually makes it harder for you to lose weight, and it definitely doesn’t help in maintaining a healthy lifestyle long term. This is because ‘dieting’ requires a lot of will power and the truth is eventually you will get tired. Dieting drains your energy and blood sugar level. If you have dieted before, you will experience thousands of thoughts that go through your head and also emotional chaos before making a simple decision on eating a meal. 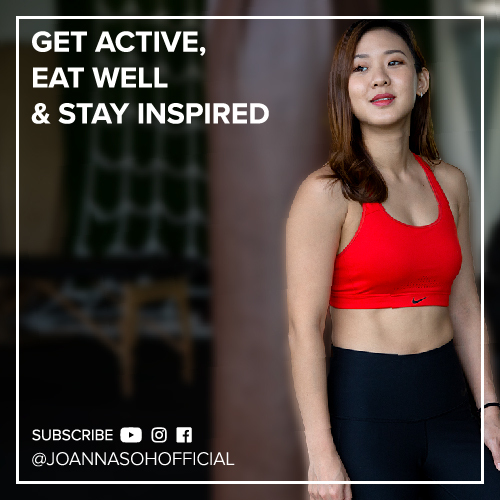 Most diets will put you in a calorie-depleted state, hence causing you to feel hungry and crave for food, yet at the same time, you’re not allowed to eat. This will eventually lead to the “What the hell” effect. Basically, the typical scenario is, you give in to your cravings, eat a huge amount of junks, screw up and convince yourself, “What the hell”, I’ll start again tomorrow. This doesn’t just happen once, but repeat on a regular basis when you’re on a diet. The end result? You ended up feeling guilty, eat worse and even gain more weight. All this would NOT have happened have you NOT dieted. So ‘dieting’ in fact makes weight loss and eating healthy harder. What we want to focus on is Building a Lifestyle of Healthy Habits that you actually enjoy, which is the second step. 90% of food decisions you make every day are habit base. So for instance, if you are used to grabbing fast food for lunch every day, you will naturally do that, without stopping and thinking whether are there other healthier food options around me. If you want to lose weight and lead a healthier lifestyle, you will most probably need to make some changes to your current eating habits. So building a lifestyle of healthy habits is long term and it has to work according to your current lifestyle. The best step to start is to keep a food journal of your current eating habits for at least 2 weeks. The purpose of your food journal is to help identity positive habits and to keep them and also identity the not so healthy habits and slowly change them to healthier habits. So you have to be brutally honest with yourself, don’t change your eating pattern just because you’re keeping a food journal. Instead eat as how you would normally eat and record EVERYTHING. Keep track of the portions, time and even what triggers you to eat. For instance, you might discover that, whenever you are stress, you’ll head straight to the food cupboard and start munching mindlessly to calm yourself down. And this might happen repeatedly 2 – 3 times in a week. Now that you are aware of this unhealthy habit, we want to work on changing it. The Golden Rule of Habit Change is to “pair the same trigger with the same reward and only change the action in the middle”. In this case, the trigger is stress and the reward is to calm yourself down. The action in the middle is the habit of munching mindlessly. So we want to change the action in the middle to a healthier habit, for instance drinking a warm cup of green tea, which can help with relaxation and reduce stress. Your food journal will also tell you the positive habits you have. For instance, you might start your day every morning with a healthy breakfast. So 30% of your meals in a week are already healthy, and you want to keep that. Remember, habit doesn’t build overnight, it’s a gradually process that we need to keep implementing it almost on a daily basis until it becomes instinctive. Once you build a lifestyle of healthy habits, you’ll automatically be healthier. What this means to me is eating food closest to its natural state and minimally processed. Real foods also tend to be perishable and seasonal. The obvious are foods like chicken, eggs, fruits, vegetables, beans, grains and more. This includes frozen or canned food so long as they are not in the company of artificial ingredients or containing lots of added preservatives. For instance canned beans or frozen vegetables are fine by me. I would also like to add that just because food has been altered from its natural, raw state doesn’t necessarily mean that processing is bad. Minimally processed food such as simple modifications like grinding, baking or fermenting is fine by me. For example, turning milk into yoghurt, soybeans into tofu, eating kimchi, or even combining oats, dried fruits, nuts, milk and wheat to make energy bar. The big issue with industry-produced foods is that they are highly processed, with added preservatives, refined grain, refined sugar, and basically to the extent that the food is no longer recognized as what it claims to be. With a wide variety of food in the supermarket nowadays, it’s extremely hard to know what’s actually healthy, and the additional ‘health claims’ and ‘fancy labels’, certainly doesn’t make it any easier. When you do you food shopping, I want you to remember this “Ignore all the healthy claims and fancy labels. They are only meant to distract you”. The only important thing you should be looking at is the Ingredient List, especially the top 3 ingredients. If sugar or any form of sugar is in the top 3 ingredients, you’re best to stay away and if there are too many scientific sounding words, or the list is too long, try to avoid them too. Find ingredients that sound like real food. Real foods are high in nutritional values and help you to maintain a healthy weight long term. The forth tip is to Practice Mindful Eating. To simple put, “stop stuffing food into your mouth!”. With our fast pace lifestyle nowadays, most of us are guilty of that, including me. We tend to eat so fast without even tasting our food, we eat with distractions and sometimes we even eat food that we don’t even know we’re eating. That’s the worse because it’ll just prevent you from achieving your goals. When you focus on your food, you get more pleasure and satisfaction. As a result, you eat less. - Put your food on the plate. Avoid eating out of a bag, straight from the refrigerator or while you’re standing up. - Enjoy with all your senses. Look, smell your food, take small and slow bites to fully appreciate the taste and texture. - Sit at a dining table or a place that’s meant for a proper meal instead of sitting on a coach. - Focus on the present moment and avoid any distractions. So no eating in front of the TV, computer or doing any other activity besides fully enjoying your meal. - Whenever possible, choose places with dim lights because it has shown to slow down our eating pace hence eating less. Bright florescent lights in cafeteria or fast food joints are meant to speed up eating, and unintentionally, you ended up eating more. - Having slow music playing in the background can also slow down our eating pace. - And finally the speed of another person you’re eating with can also affect your pace and the amount you eat. If you find that the other person you dine with is eating way to fast, and you feel the need to catch up, perhaps tell them and ask them to slow down. Apply these tips and naturally, you will start to listen to your body and stop when you feel satisfied, not when you are stuffed. And the final tip is having the simple skill of being able to prepare food for yourself. Eating healthy starts from home. To most of you, cooking might sound intimidating but trust me it isn’t. I didn’t start learning to cook until I left home at the age of 19. Of course I wish I had started younger. When I left home to go to the city, I was constantly eating out every single day, in fact almost every single meal. Without realizing, I started gaining weight over the period of one year due to larger portions and just really not caring about what I eat. That’s how I eventually got into fitness and healthy eating. To me healthy meals mean simple meals. I like my meals to be easy, quick, with minimal ingredients, stress-free and I should enjoy the cooking process. If you have been following my recipes on my YouTube channel, you will know that they are extremely simple, convenient and anybody with no cooking knowledge will be able to make them. One of the best methods to eat healthy most time is it prep your meals in bulks. Basically you dedicate one day in the week to plan and prep your meals for the entire week. Meal prepping helps you to stay on track with your fitness goal, it is time efficient, eliminates the stress of having to cook every single meal, you’ll save money, and most important you’ll be enjoying delicious healthy meals throughout the week. 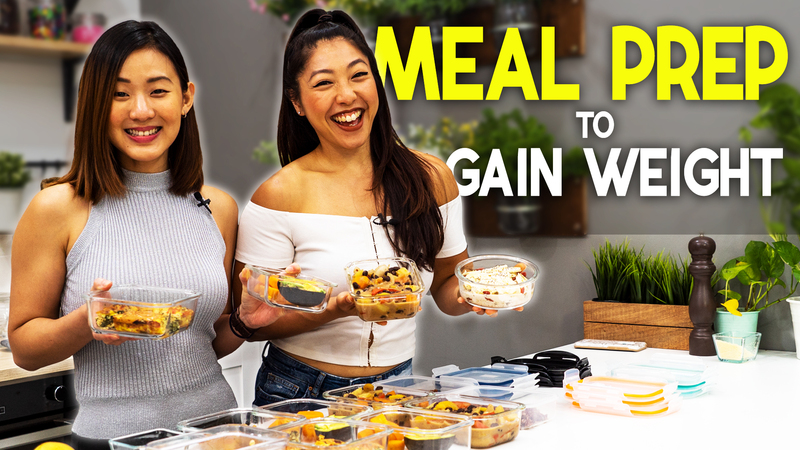 If you aren’t too sure where or how to start, be sure to watch my “Guide to Healthy Meal Prep” video. If you are new to cooking, start by learning 4 to 5 really simple recipes that you like and can repeat. Check out my recipe videos for ideas. Once you get the hang of it, then of course keep trying new recipes that you enjoy. So these are 5 practice tips, which we all should apply in our lives. Start practicing these tips and I trust that you will be able to lose weight and maintain a healthy weight for life WITHOUT the need to ever go on a diet!